Bed bugs do not pose a serious risk of disease. However, they can cause extreme itching, lack of sleep, and significant expenses for home-owners. How can I know I might have a bed bug infestation? 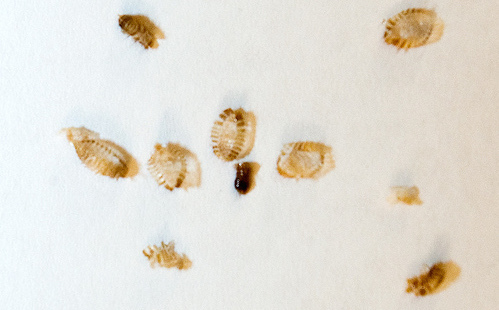 When traveling at a hotel, inspect the room for signs of bed bugs. Even if you do not see signs of bed bugs, store your suitcase on a luggage rack and avoid leaving clothes on the floor. While at home, store suitcases away from your bed, such as in a basement or garage. Always inspect new furniture before bringing it into your home. Avoid purchasing used upholstered furniture from secondhand stores or garage sales. How are bed bugs treated? Bed bugs infestations are usually treated by insecticide or thermal (heat) treatment, or a combination of the two. Bed bug experts can help you decide which is the best option based on the characteristics of your home and the severity of the problem. It is important to remember that treatment does not stop after the exterminator leaves. 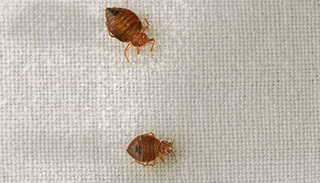 Heat treatment and a consistent cleaning regimen can help keep bed bugs away. Because most bed bugs die when exposed to high temperatures, you can prevent infestation by drying clothes, sheets and other fabrics on a high heat setting. You can also prevent bed bugs by vacuuming frequently, using mattress and furniture protectors, and sealing cracks and crevices in your home. For more information and a list of bed bug exterminators in Southeastern Idaho, click here.  University of Minnesota - Let's Beat the Bed Bug!